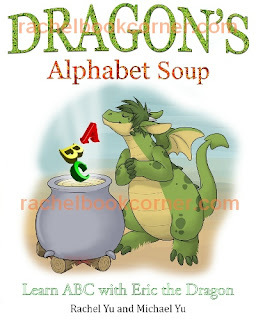 Learn ABC with Eric the Dragon. Newly released Enhanced Version, with a Read-Aloud Audio Option (Feb. 2011); available on iPad for just $1.99. Posted December 27, 2010, 9:55 PM EST: My son loves dragons & dinosaurs. This book was perfect for him to learn his A, B, C's. He reads the letters and I read the word. I just wish I had the Nook Color to see the illustrations better. Posted January 5, 2011, 9:58 AM EST: I got this for my 16 month old son to use on my white pandigital novel and it's a very very cute alphabet book. I'm impressed by the color graphics for this self-published ebook and my favorite page is K for Kiwi. 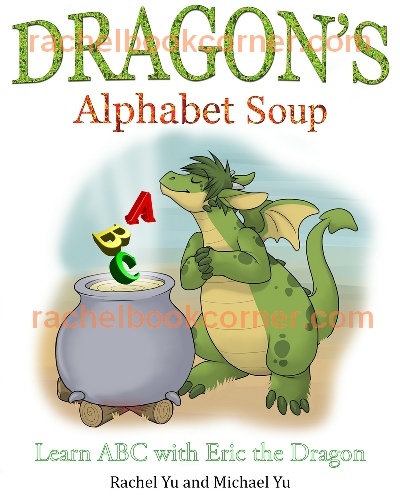 This little dragon really likes his veg---defintely recommend for a color reader since it's the pictures that really make the book. Cute pictures! Who's the artist?